In the 19th century, a group of French painters, known as Impressionists, began to popularize a practice of landscape painting known as painting en plein air, or the act of painting outdoors. They believed that when painting, one should paint outside, capturing details such as light splaying over fields, the sun hiding behind the horizon, trees swaying in the wind, and the reflections vibrating within the water. Impressionist painters believed in the importance of being able to study and represent the ephemeral qualities and “impression” of a landscape. 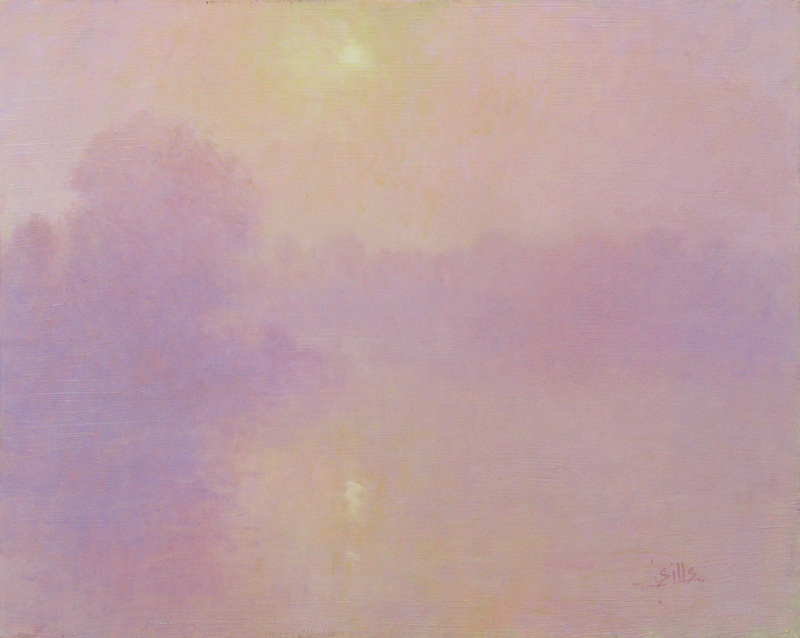 Sills, “Morning Fog,” Oil on Canvas, 16 x 20 in. The Plein Air movement, which is still in practice today, came into prominence through painters Claude Monet, Camille Pissarro, and Pierre-Auguste Renoir. 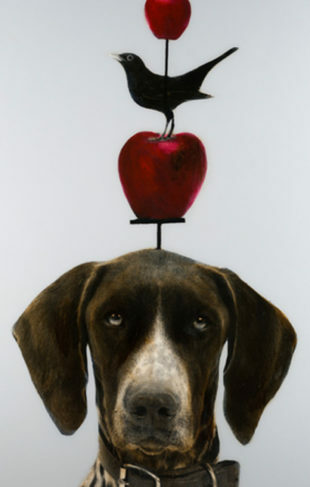 Today, Artist John Brandon Sills paints en plein air to show nature in all its forms, emphasizing certain aspects that create an awareness of man’s relationship to the environment. His landscapes exhibit the sensitivity that urges the viewer to appreciate the spiritual aspects of the land, and to actively participate in their protection, “In my plein air work, I try to capture the essence of an experience hoping to express the vitality of nature in brushstroke and color,” says Sills. 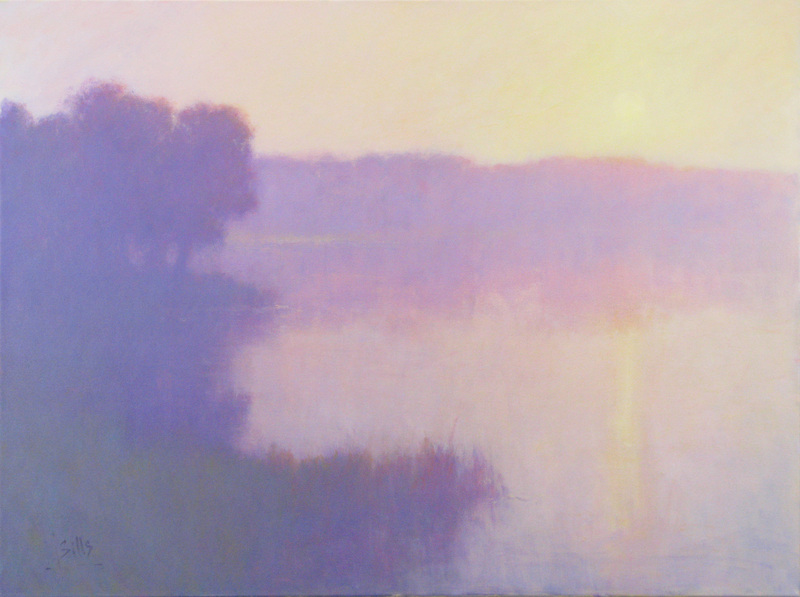 Sills, “Dawn Blush,” Oil on Canvas, 36 x 48 in. 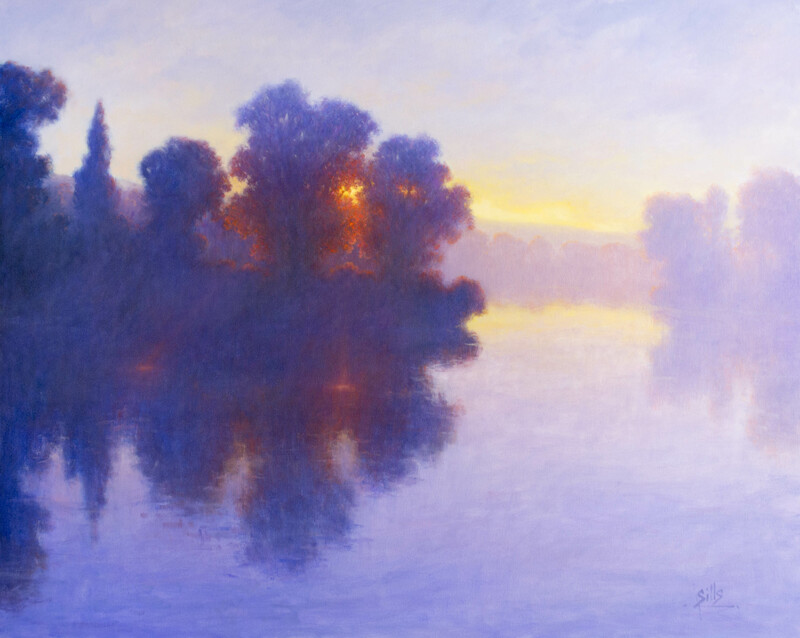 When looking at multiple of Sills’ plein air landscapes, his influence from Monet is immediately prevalent. One is reminded of Monet’s haystack series – multiple paintings all depicting the same landscape at different times of the day. The light becoming a subject of its own as it plays with the shapes and textures of the surroundings. This concept, of light as its own subject, is a foundation within this practice. Sills, “Crimson Sunset,” Oil on Canvas, 48 x 60 in.